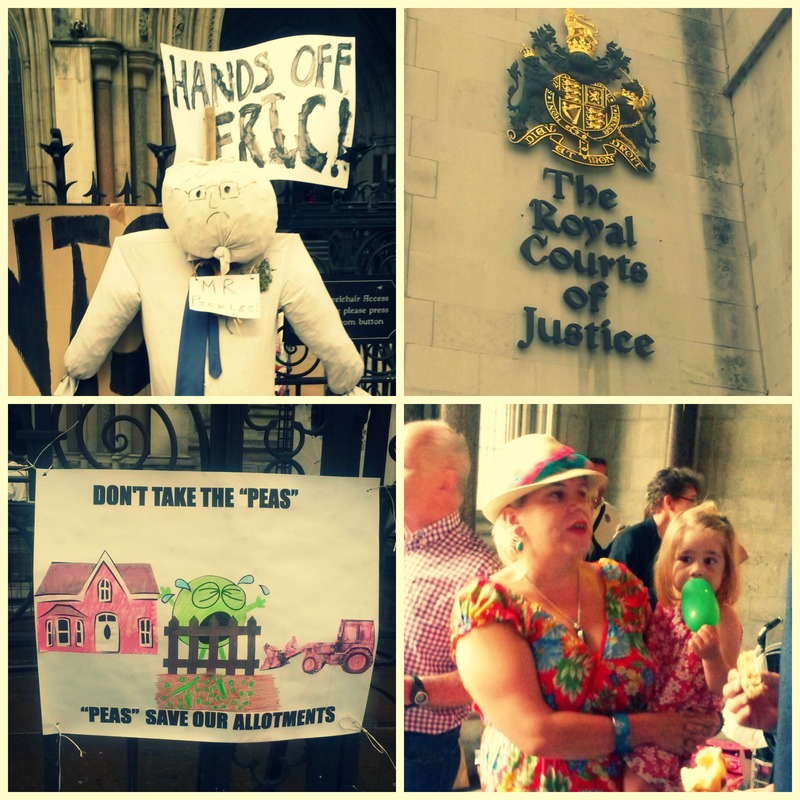 This afternoon, I raced along to the Royal Courts of Justice in Westminster to attend the ‘Peasful Protest’ organised by the Save Farm Terrace allotment holders. It was the day of the court hearing, and as I mentioned in my previous post, Agents of Field have been following this case with interest since it began in 2012 as our allotment is at a neighbouring site. 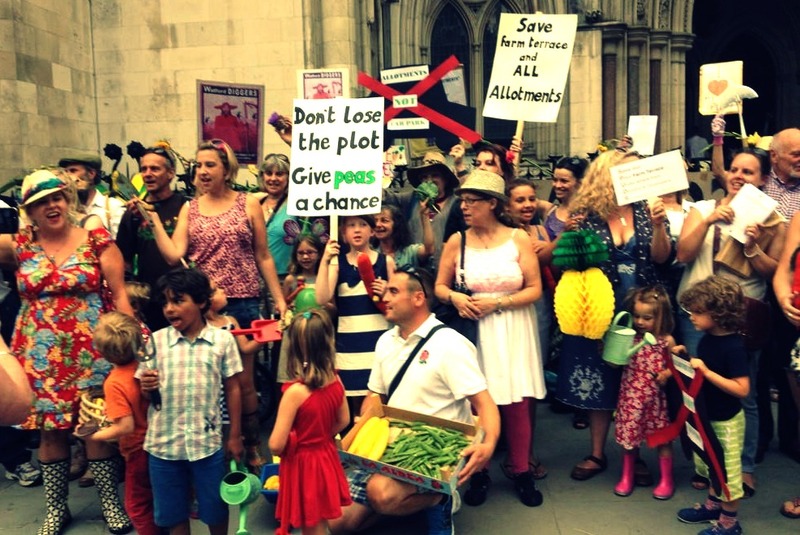 It was great to finally meet Sara Jane Trebar, head of the Save Farm Terrace campaign, as well as some of the other plot holders who descended on the courts dressed in wellies and carrying their allotment-grown produce. And it wasn’t just Farm Terrace plot holders who were out in force this afternoon, I met protesters from other allotment sites in London, as well as from Dorset and Sussex, which just goes to show this is an issue of national importance that affects all allotment holders wherever they may be. It was heart-warming to meet such a lovely group of people, all fighting for a cause we feel so passionately about. 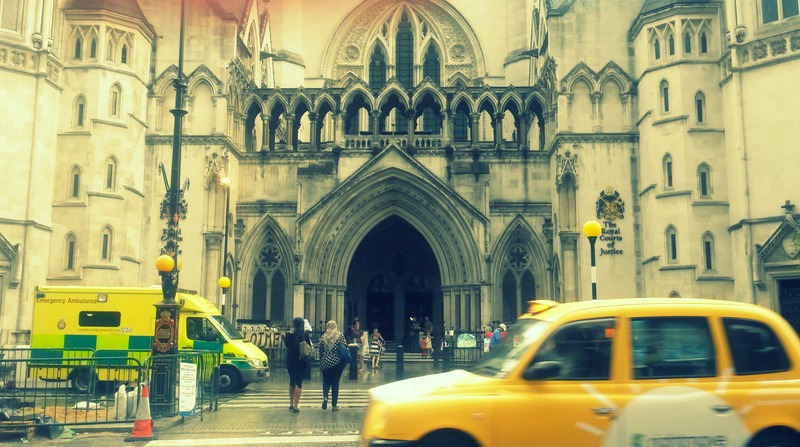 The court case finished just before 5pm and Mr Justice Ouseley is expected to make his decision next week. Cross your fingers until then.